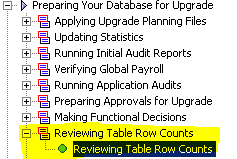 UPGCOUNT is a delivered Application engine program which is used to generate a report showing the row count of PeopleSoft tables. UPGCOUNT is run as part of PeopleSoft application upgrade and can be run on demand too. 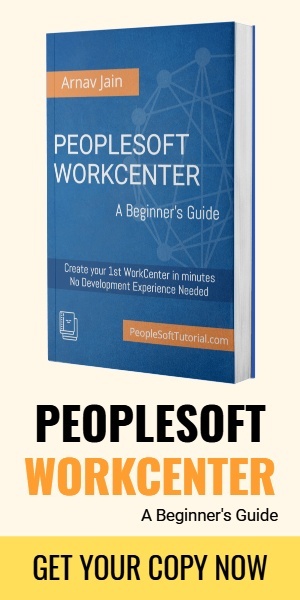 During application upgrade, it is automatically invoked by change assistant and UPGCOUNT.LIS report file is generated with the list of PeopleSoft tables with their row count. Step ‘Reviewing Table Row Counts’ executes application engine UPGCOUNT by invoking application engine executable PASE.exe. 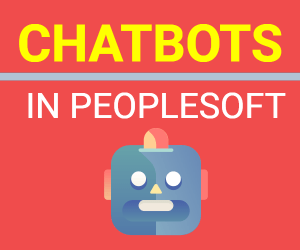 If you wish, you can also run this application engine from PeopleSoft Application Designer. Open the application engine UPGCOUNT in application designer, click on run button. Enter the desired parameter and run the application engine. 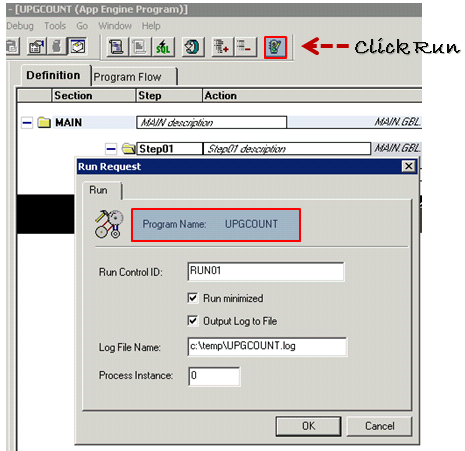 Make sure to check the log path to get the UPGCOUNT.LIS report.